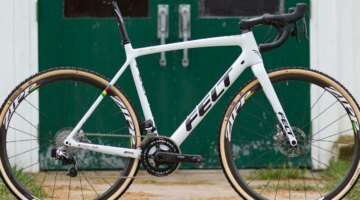 We’ve got another bike from the 2016 Cyclocross World Championships in Heusden-Zolder, Belgium. This time it’s Mical Dyck’s custom steel Naked X-15. Naked Bicycles are hand built by Sam Whittingham on Quadra Island just east of Campbell River on Vancouver Island, British Columbia. Whittingham does all the fitting, welding and painting in his shop, mostly by himself. The X-15 cyclocross bike featured here was custom fit to Dyck in-house at Naked. The frame as quoted from Whittingham himself is comprised of “organic, free-range Unicorn bones.” In actuality it’s a mix of True Temper S3 and Platinum tubing with Naked custom boomerang dropouts with a Paragon derailleur hanger. Dyck’s frame is mated to a painted-to-match Whisky No. 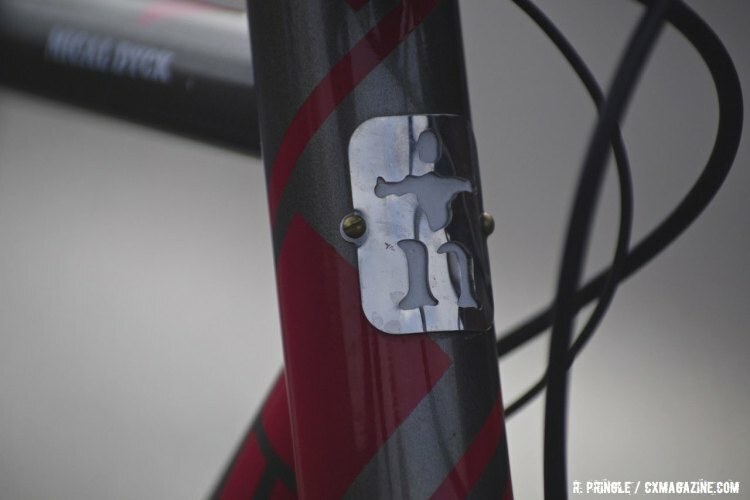 7 carbon fork. 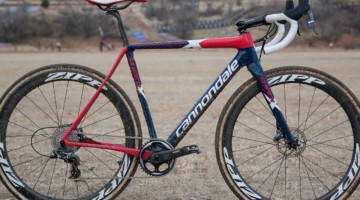 Dyck piloted the bike, which we featured last year, to 16th in the Women’s Elite race at Worlds this year and she was the highest-placed North American rider at Tabor in 2015 coming from a pretty low starting spot. 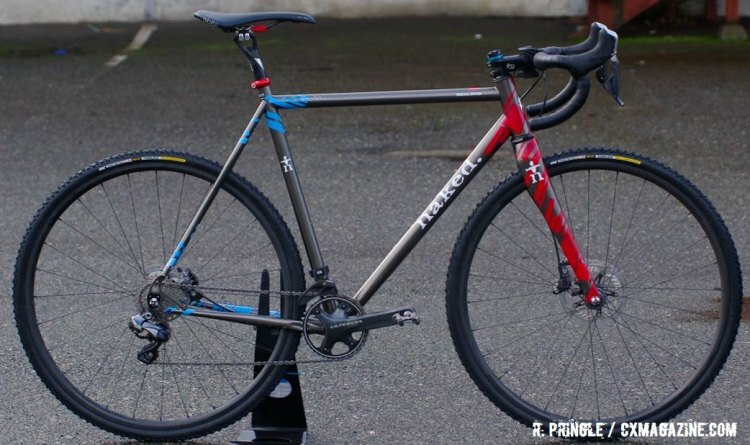 Let’s take a look at the build of this unique-amongst-elite-riders bike. Dyck’s drivetrain is a Shimano Ultegra Di2 system run with a single ring up front. Dyck switches between 36, 38 and 39 tooth front rings depending on a given course and mates that to an 11-28 Shimano cassette. Dyck’s chain is kept in check by an e*thirteen chain guide and stopping duties are performed by Shimano’s R785 hydraulic calipers with a 160mm rotor up front and 140 mm rotor out back. For her contact points, Dyck runs components from Shimano’s sister company, Pro. 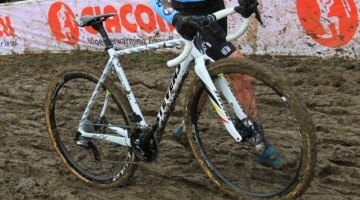 Her cockpit consists of Pro’s Vibe bar and stem in 42cm and 1o0mm sizes, respectively. 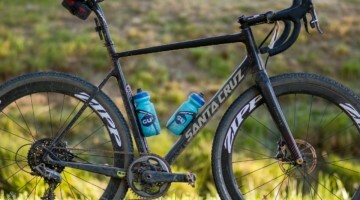 Her Pro Turnix carbon-railed saddle sits atop Pro’s Vibe UD carbon post. 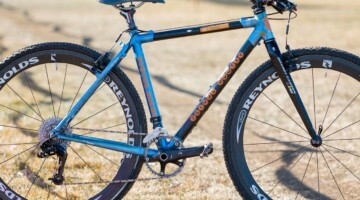 Dyck runs Shimano XTR M9000 pedals as well. 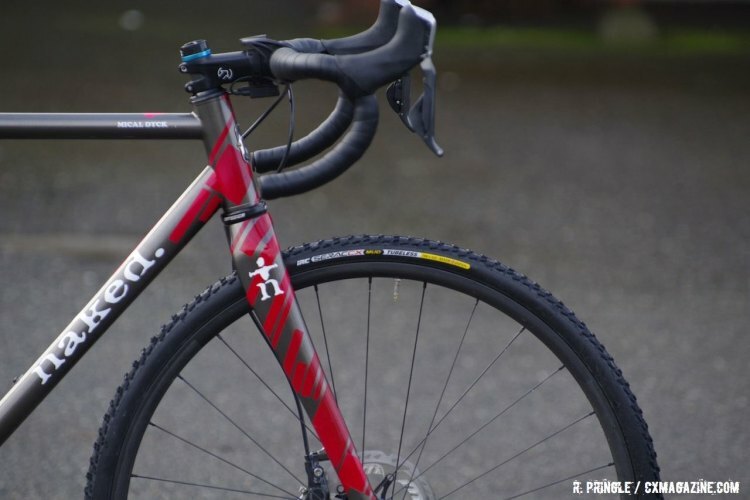 Not only is the steel frame fairly unique among the Elite ranks, but the fact that Dyck runs a tubeless system makes her a standout in terms of tech as well. Her 28-hole Stan’s No Tubes Valor rims are laced to Shimano CX-75 hubs with a Dura Ace freehub body to help bring the overall wheel weight down. 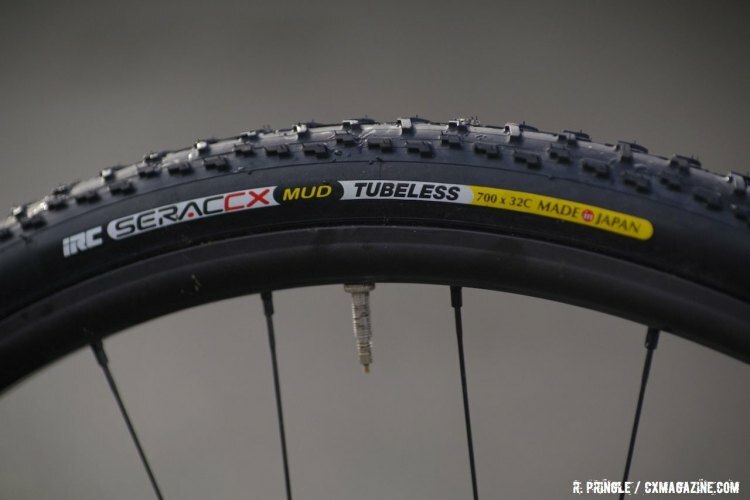 Her tires are supplied by IRC and for Worlds Dyck ran the Serac CX Mud Tubeless offering at 22 psi front and rear. There are some little touches as well, including Ti hardware where possible, old Bontrager Ti skewers and a Salsa post clamp that adds a little flash. As shown, Dyck’s bike comes in at 18.11lbs ( 8.22kg ), a respectable race weight for a custom steel offering. grocerystorebar cyclocross Britlee didn’t ride the World Champs. Unique? I own a hat trick of ’em! Marty A. Dyck are you related to this bicycle racer from Canada?! Hmm. I don’t think so. Believe it or not “Dyck” is quite common. Lots of us Dutchmen made Canada home! 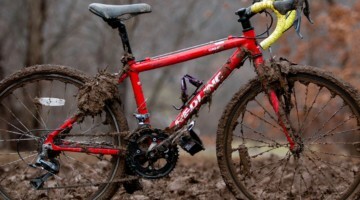 cyclocross MicalDyck Thankyou for the writeup and photos!!! ! !